When Swathi asked me to suggest two baking dishes for the Baking Partners Challenge this tart was my first choice! It’s colourful and savoury and well I cannot claim its healthy! So it’s liked by the girls and I don’t have to beg them, “please finish that “! In fact I have to post whatever pictures I took before the attack! Thanks Swathi for letting me choose the bakes else like I said the magazine would have been gracing my kitchen without a page being opened. The original recipe called for a mix of yellow and red cherry tomatoes since we do not get yellow I used red. The mustard recommended was 2 tsp of Dijon mustard I used the mustard that I use in Indian pickles, split mustard. Thyme is not much preferred at my place so I used a mixture of sage and thyme. Also if you get fresh thyme please use 3 sprigs of it. Halve the tomatoes and transfer to a tray. Drizzle with the oil and season with salt and pepper. 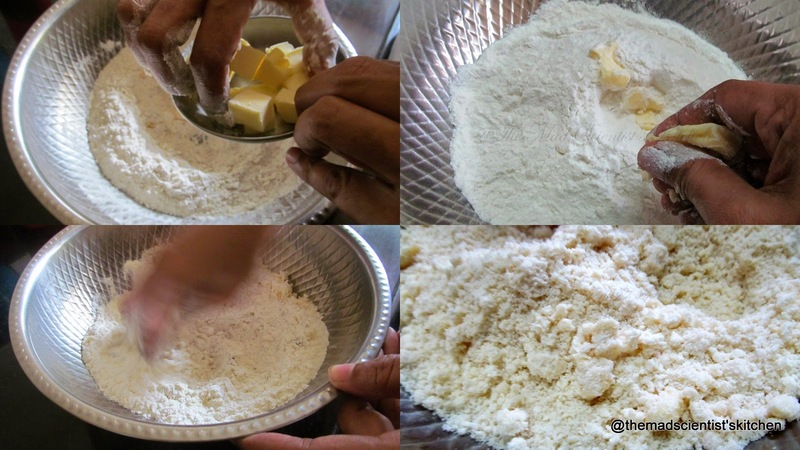 Transfer the flour in a big bowl add the butter gradually and rub with your fingertips till the flour resembles bread crumbs. Stir in the cheese and chilli powder. Mix the salt and pepper. 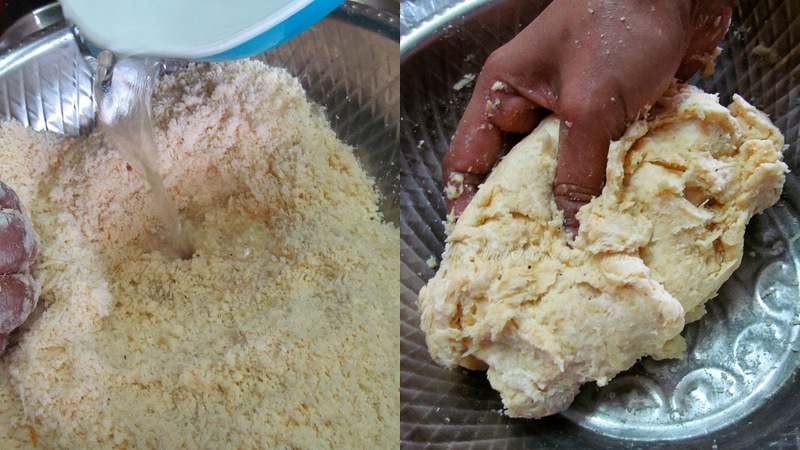 With the chilled water bring the dough together. Wrap in a cling film and set in the refrigerator for 15 minutes. 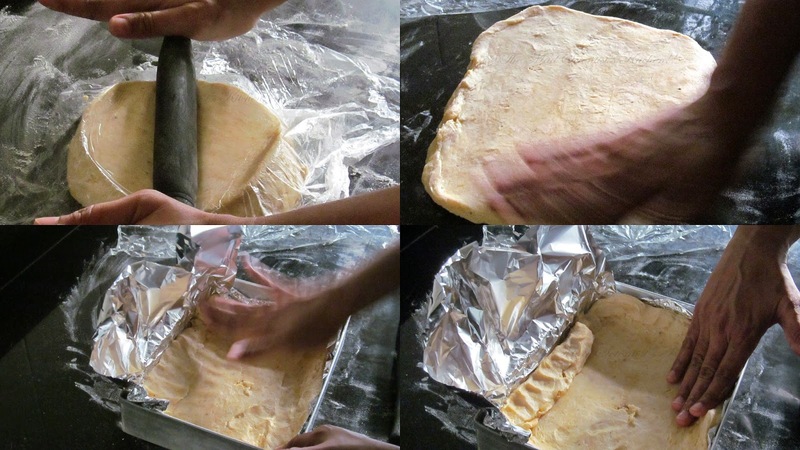 Before you roll out the pastry line a rectangular tin with foil. Set aside. Roll out the pastry line it in the tin. Using a fork make holes in the pastry at regular intervals. This prevents the pastry from puffing up. 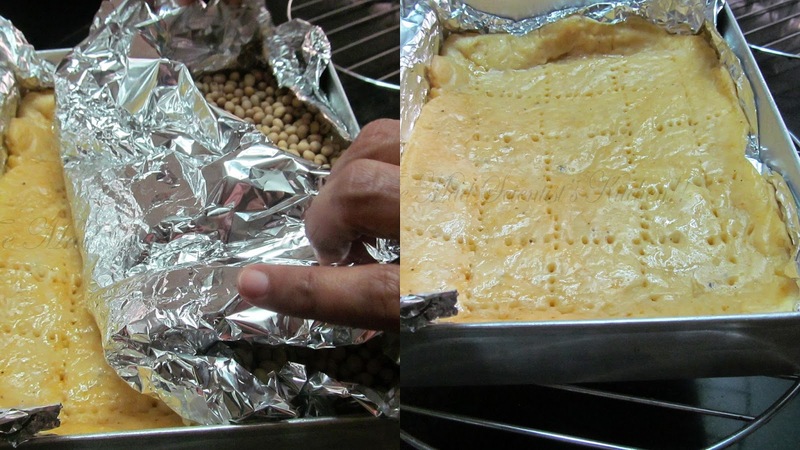 Now smoothen a parchment paper or foil on top of the pastry and add beans. Blind bake at 200°C for 15 minutes. 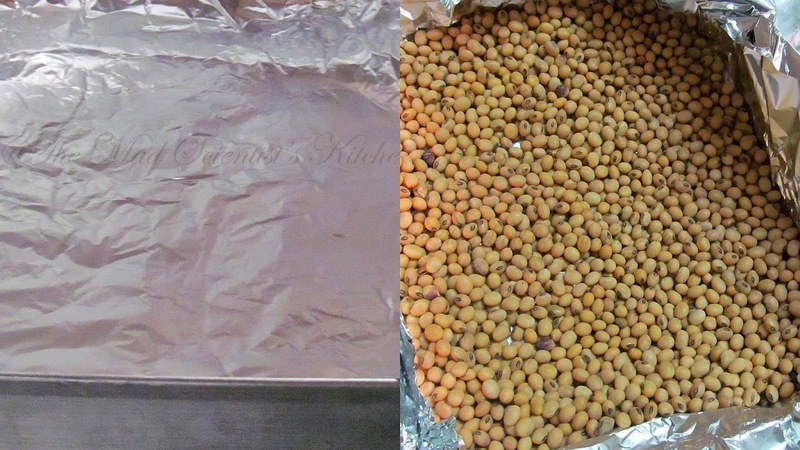 Take out the paper/foil and cook for another 10 minutes. Set aside to cool. Mix the mustard and cheese. Spread over the tart. 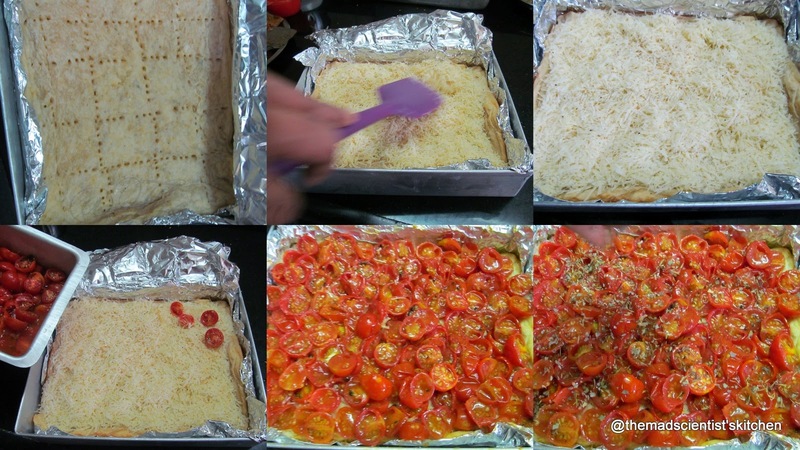 Place the tomatoes on top and sprinkle with thyme and sage mixture. Bake in a preheated oven @ 180°C for 40 minutes then at 220°for 15 minutes. Remove the tin from the oven to a wire rack. To demould lift the entire tart to by just lifting the foil. Cut in desired sizes and serve warm. Colorful and super tempting,perfectly baked.